During the Iranian president’s late March visit to Russia, important documents are planned to be signed between the two sides, Iranian ambassador to Moscow said. Mahdi Sanaei, the Iranian ambassador to Russia, recently met Leonid Slutsky, the Chairman of the new Russian State Duma’s Committee on International Affairs. 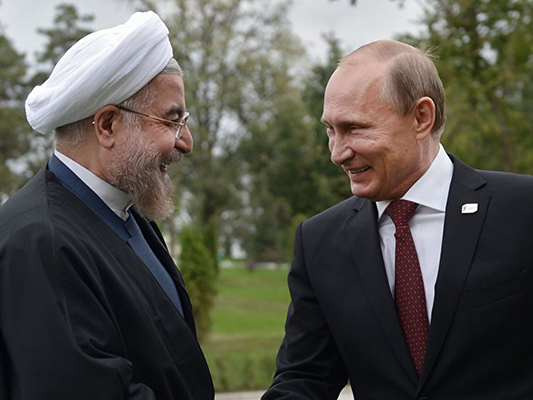 During the meeting, the two parties conferred on the expansion of cooperation between Iran and Russia in such areas as parliamentary relations, according to a Farsi report by Fars News. He also referred to the positive changes in the relations between Iran and Russia in many areas such as political and economic fields, highlighting the shared views of the two countries on global and regional issues. “Our positions on key international and regional issues, such as Syria and the Middle East problems, will get closer in the near future, after the meeting between the two countries’ parliamentary committees on international affairs,” the Russian MP added. Elsewhere in the meeting, the two parties also agreed to extend their parliamentary relations, as well as the cooperation between their inter-parliamentary friendship groups.